If she carries her pregnancy to term, Victoria's calf could be born next summer. Scientists at a San Diego zoo are celebrating the pregnancy of a southern white rhino named Victoria. The pregnancy, achieved through artificial insemination with the sperm from a male southern white rhino, is an important step that scientists hope could bring them closer to saving the almost-extinct northern white rhino, the San Diego Zoo Institute for Conservation Research announced Thursday. (Julie Watson/AP) Barbara Durrant, director of reproductive sciences at the San Diego Zoo Institute for Conservation Research, poses next to Victoria, May 17, 2018. 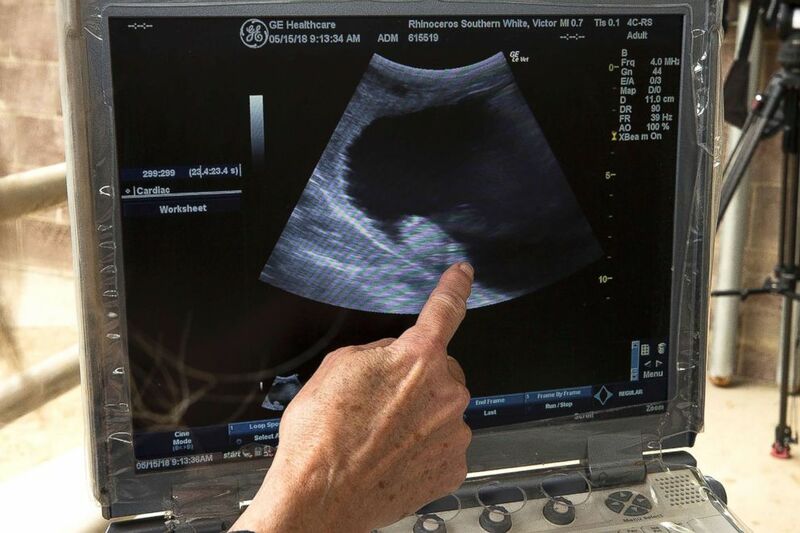 (Tammy Spratt/San Diego Zoo Global via AP) A researcher points to the newest ultrasound of Victoria, May 15, 2018. 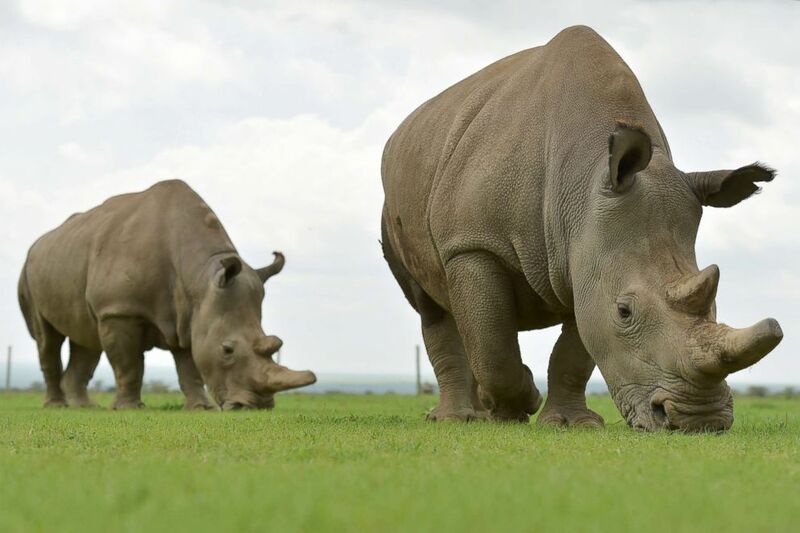 There are only two northern white rhinos left on Earth, the zoo said, and both are female. Victoria is one of six of the zoo's female white rhinos that researchers hope could eventually be surrogate mothers and carry northern white rhino embryos. 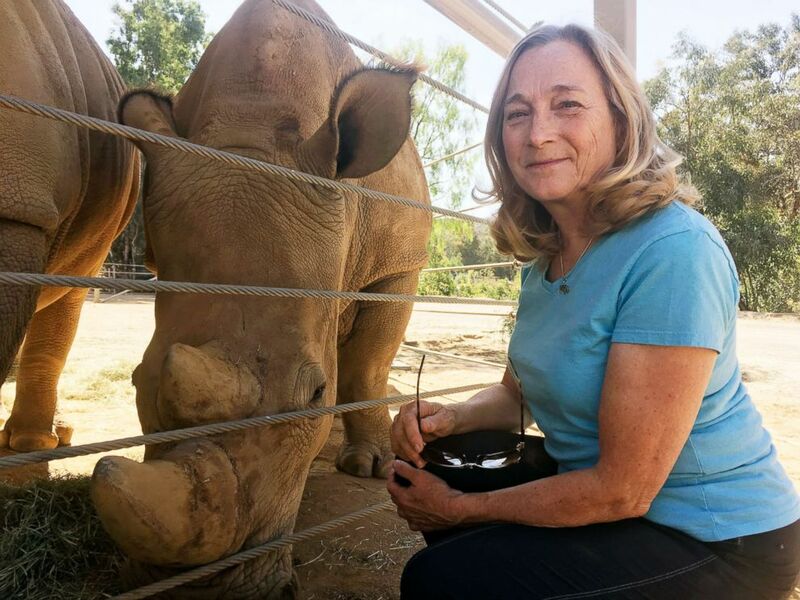 "The confirmation of this pregnancy through artificial insemination represents an historic event for our organization, but also a critical step in our effort to save the northern white rhino," Dr. Barbara Durrant, director of reproductive sciences at the institute, said in the statement. 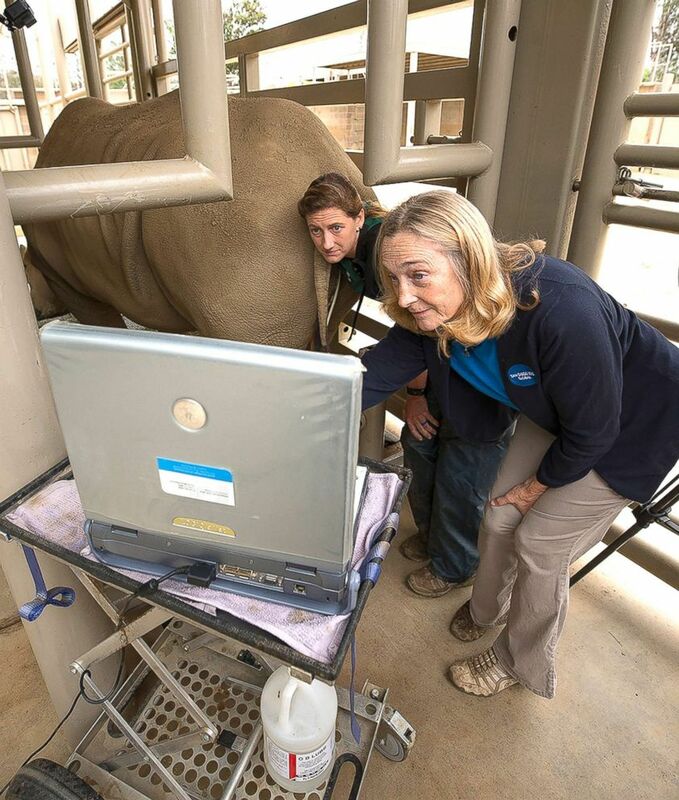 (Tammy Spratt/San Diego Zoo Global via AP) Barbara Durrant, right, director of reproductive Sciences at the San Diego Zoo Institute for Conservation Research and Parker Pennington, Ph.D., dost-doctoral associate, preform an ultrasound of a southern white rhino, Victoria, at the San Diego Zoo Safari Park in Escondido, Calif., May 15, 2018. Rhinoceros pregnancies last between 16 and 18 months, so if Victoria's pregnancy is successful, her calf could arrive next summer. Artificial insemination has rarely been attempted in rhinos and has produced only a few births, the research center said. The last northern white rhino, Sudan, was euthanized in March at a Kenya preserve because of age-related health complications. 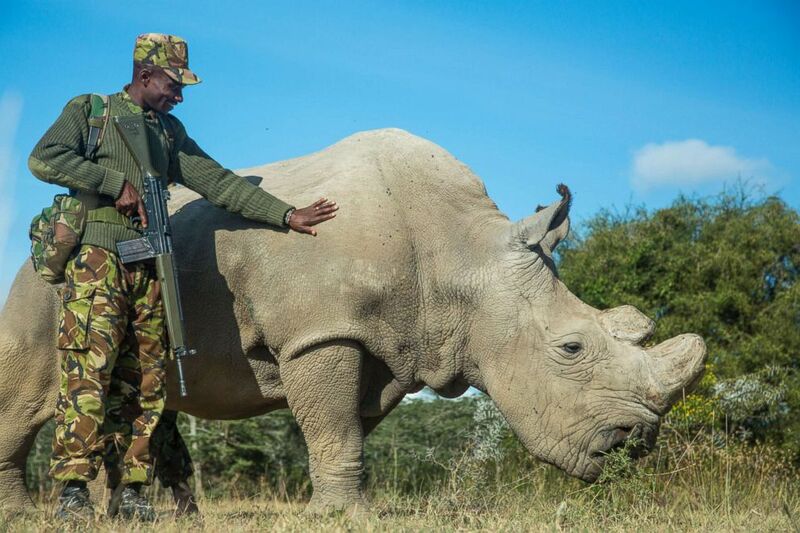 (Georgina Goodwin/Barcroft Media via Getty Images FILE) Sudan, a Northern White Rhino is protected by armed guards John Mugo and Daniel Maina at Ol Pejeta Conservancy on June 25, 2015, at Laikipia County, Kenya. A mother and daughter who live in the same Kenyan preserve are the only surviving members of the northern white rhino species, but they are incapable of bearing calves. There are no northern white rhino eggs, so researchers will have to use genetic technology to create an embryo. (Tony Karumba/AFP via Getty Images) Najin (R) and Fatu, the only two remaining female northern white rhino, graze in a paddock on March 20, 2018, at the ol-Pejeta conservancy in Nanyuki, Kenya. Scientists at the San Diego Zoo Institute for Conservation Research have the cells of 12 different northern white rhinos stored in their "Frozen Zoo." These cells would need to be developed into stem cells, which could eventually become sperm and eggs. "Reproductive options would then include artificial insemination, in vitro fertilization, and embryo transfer," the institute said in its statement.